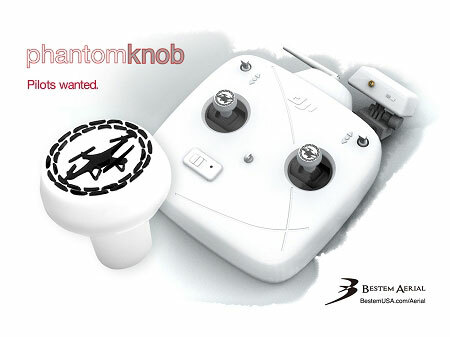 PhantomKnob -Precision control knob for DJI Phantom / Inspire 1 controllers (all models). These injection-molded silicone knobs will greatly improve control precision and reduce hand fatigue. 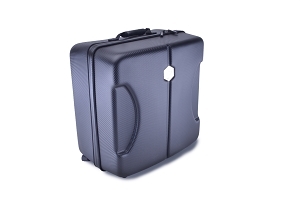 This set features "The Drone" design. Set of 2. These are absolutely AWESOME!!! For the new generation these are great because they feel like an XBOX or PS4 Remote grip. Great Design! These tips for the DJI controller are what should have shipped from the factory in the first place. Makes using the controller more precise and much more comfortable. 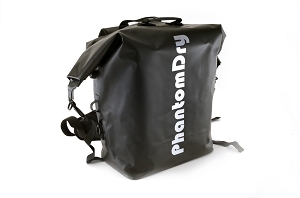 I would highly recommend this to any phantom owner. 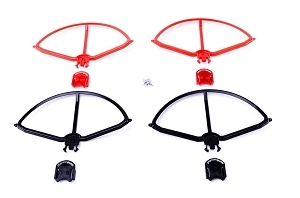 I have to admit I purchased these knobs only for the looks, to enhance the looks of otherwise boring DJI transmitter. But I found them making the sticks more comfortable, specially if you use your thumbs, like me instead of “pinching” the sticks. The material is excellent. Good job ?? 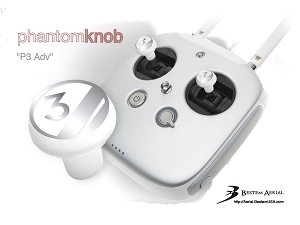 Great add on to my DJI Phantom controller. The large soft rubber knobs make it easier to grip the sticks with two fingers which I think helps in a smoother flight.